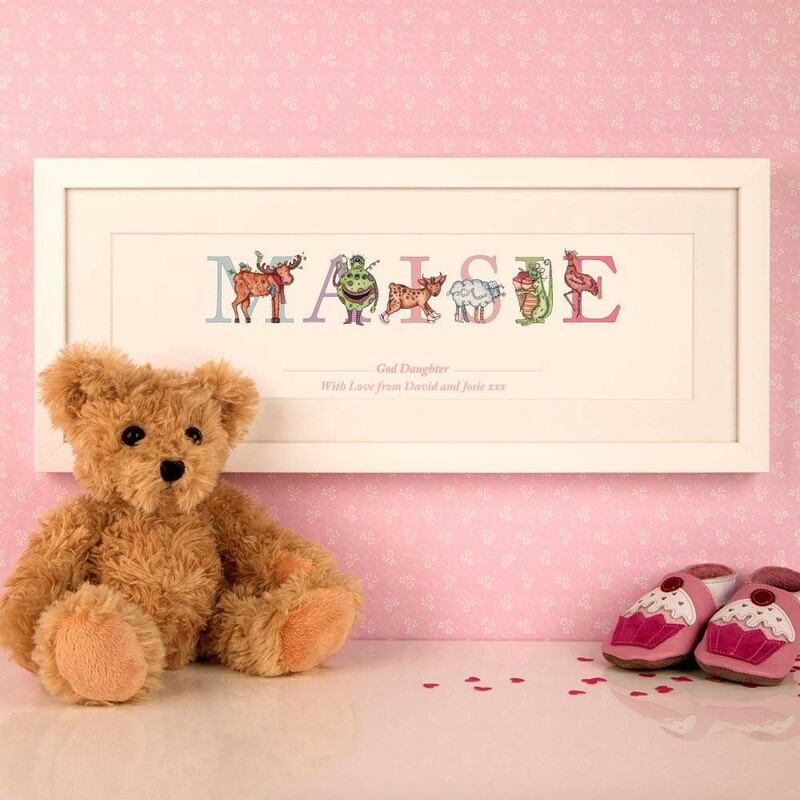 A personalised name frame makes a lovely keepsake gift for your god daughter – perfect for her Christmas, christening or her birthday. Each illustration has been originally hand drawn and painted by our illustrator who creates a personality for the characters like 'Juggling Jellyfish' and 'Cat eating Cake'. The design team carefully lay out the letters to create the best layout for the child's name and will sit comfortably next to another frame with a shorter or longer name. This phonetic alphabet name frame is perfect for children's early learning and teaching them the letters of the alphabet and spelling their name. The child's name is printed on high quality watercolour paper using our wide format printer and then professionally sealed and framed in house. 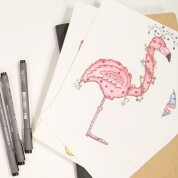 It makes the perfect addition to any girl's room with the neutral white frame. 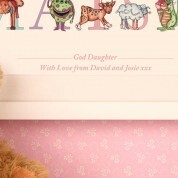 Each gift is personalised in house with the recipient's first name and a love from message. The wall fixings and a gift tag are included with this gift.